Encouraging employees to pay more attention to the world around them - and think about how events can relate to a business environment - can increase innovation and creativity in a business, Andrew Thorp has said in a Find the Edge article published today. Encouraging a workforce to think creatively, and expand their focus, is a fantastic way to generate new ideas that can boost a business, Andrew Thorp has said in a new Find the Edge article. He uses his post on the site to discuss how innovation at all levels can help a business excel. Thorp said: "As a business owner, you obviously want your company to perform as well as possible and, from time to time, you’ll come across a new idea or methodology which might benefit your business. But if you’re the only one who brings new ideas to the table, you’re not tapping into the richest resource in your organisation – the workforce. "The problem here is that many of your workers will be narrowly focused on their regular tasks. "Creative thinking can be limited by being too close to those tasks." To expand their focus, Thorp suggests teaching employees to be more curious about events they experience. They can then observe them, reflect on them, and finally derive a business related meaning from them. Thorp gives an example of watching Serena Williams lose at Wimbledon. He said: "It got me thinking – she’ll probably learn more from losing that match than she has from all those months unbeaten. You learn more from your failures. "So, in business let’s not create an environment where mistakes or failures are pounced upon and fingers are pointed. "We learn more from our failures, but you won’t fail at anything if you don’t try something new! Let’s encourage people to try things, to come up with new ideas and – if they don’t work out – let’s learn and move on." Andrew Thorp is a communications coach, and regular public speaker. 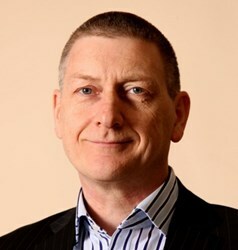 More about him can be read here: http://www.findtheedge.co.uk/expert-panelist/andrew-thorp. Kenny Goodman, founder of Find the Edge, said: "Encouraging creativity throughout a business can be hugely beneficial. "As this article points out, simply asking your workforce to take a look at the bigger picture can make a massive difference." Find the Edge is a business website where leaders are able to post their advice, ideas and opinions.